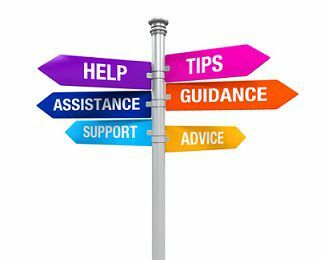 Frequently Asked Questions | Law Office of Jim Zadeh, P.C. Is It Illegal To Text And Drive? A new law went into effect in Texas that prohibits people from using social media or texting and driving. Prior to today I had several cases where the bad person or the driver who caused the accident was texting and driving and there was no law that Prevented it. Those people were still negligent, but now I have a law, and under the law now they’re negligent per se. This means they violate the statute and which is much easier to prove. This is just as a reminder that the new law went into effect. Don't text and drive, and don't check your social media and drive. Try and keep your hands off your phone while you drive and be safe. If you or someone you know have been involved in a car accident because the person at fault was texting and driving then call me today, so that we may discuss your rights in your free consultation. A car accident is a very serious situation. It is never planned, so you must be prepared if that day ever comes. When a car accident happens, injuries may be severe and emotions may be high, but preparation can help you to take control of a very hectic situation. The following information are things that you should do if ever involved in a motor vehicle accident or pedestrian accident. You should never leave the scene of an accident, especially if someone has sustained injuries or was killed. The last thing you want is to face serious criminal penalties for being a "hit-and-run" driver. The EXCEPTION is if you were hit by another vehicle in a deserted area. In this situation you must use caution in getting out of your vehicle. There have been reports of incidents where a person exited their vehicle in a deserted or unsafe area after being hit by another vehicle, only to be robbed or killed. When you feel unsafe because of the area; it is best to drive, if possible to the nearest police station to report the accident. If this is not an option for you, then remain in your vehicle and call the police and wait till they arrive to the scene. You should always first check to make sure that everyone else involved in the accident is okay. Most individuals get out of their vehicle to look at the property damage first, but you must get into the routine of making sure everybody is okay. Get medical attention for anyone who may need it. If a person is unconscious or complains of neck or back pain, then it is best to not move them until qualified medical personnel arrive. The EXCEPTION is if an injured person is lying in a pool of gas, and you are afraid that it might ignite at any moment. This is a decision that you must take at your own risk. If you feel that you must help this person out, then you must proceed with precaution. Try to move them as steadily and slowly as possible while supporting their neck and back. The less movement, the better. It is always important to call the police, especially if the accident involves significant property damage, physical injury, or death. Ask the police officer if a police report can be taken and filed. Good information to write down is the name and badge number of any responding officers. Important information to write down are names, phone numbers, addresses, drivers' license numbers, license plate numbers, and basic insurance information, of anybody involved in the accident. Do not apologize for anything, be very polite and cooperative while talking to everyone and exchanging basic information. Do Not Ever, get out of your vehicle and blurt out, "I'm so sorry, it was all my fault." The last thing you want to do is admit guilt unintentionally or unnecessarily. Ask and write down what every witness saw. Make sure to get their names, telephone numbers or addresses, if possible. Ask them, if they have ever witnessed other accidents in the same place your accident took place. Write down all the information they give you, but do not pressure witnesses if they appear hesitant in giving more information or any information at all. If they agree, simply get their name and phone number so that you can have a point of reference in case they need to be contacted. Contact the insurance company and take an active interest in making sure your rights are protected. Obtain and review a copy of any police report, so that you can know what the reporting officer stated. Cooperate with the insurance company by telling them the truth and the extent of your injuries. If the insurance company finds out that you are not being truthful, then you may get in serious trouble, and also be denied coverage for the accident. Keep all documents from any doctors, physical therapists, chiropractors, or other medical professionals that you have received treatment from, and each medical provider that referred you to other caregivers. It would be a great idea to keep a diary of all information dealing with your medical treatment. Take pictures of your personal injuries after the accident. Take pictures of your property damage after the accident. You should always take a picture of your vehicle when you first purchase it, so that you can show how it looked before the accident. Having pictures of yourself before the accident would be a great idea as well. Have your insurance company provide a damage valuation. If it's considered a total lost, get two estimates for the repairs on your own, or have two other car dealerships give a quote for the value of your vehicle. Voice your concerns to the adjuster and your position, and make sure to be assertive. If you cannot come to an agreement on the value of your car, consult an attorney. Do not post anything about your accident on any Social Media. You should always be Cautious to whom you discuss your accident with. Do not discuss any details about your accident to anyone other than your attorney, your insurance company, and the police. Make sure to write down the name and number of the person who contacted you, and inform your attorney or insurance company about who contacted you. Don't settle a claim until you know you will be compensated for all your injuries, and consult an attorney before signing any documents pertaining to a settlement. Make sure your physical injuries that you suffered due to the accident have been completely treated, and that you have a doctor's prognosis. Be aware that you may not feel some injuries right away. It may take days, weeks, or even months before feeling any discomfort of the injury. If you have been involved in a car accident and need a free confidential consultations, please do not hesitate to contact my office at 817-335-5100. You may also Click Here to submit any questions or concerns you may have. When are damages too speculative? On May 7, 2015, the Texas Supreme Court addressed the issue of when damages are too speculative Phillips v. Carlton Energy Group. In this case, Carlton Energy Group ("Carlton") contends Phillips Oil interests ("Phillips") tortuously interfered with Carlton's attempts to acquire an interest in a Bulgarian Coalbed methane exploration prospect. Philips responded that it did not interfere but even if it did interfere, the damages suffered by Carlton were too speculative to recover. Specifically, Phillips said Carlton's lost profits could not be proven to a reasonable certainty. But the Supreme Court disagreed in part. The Supreme Court said reasonable certainty must be measured in context and when projected profits are considered in determining the value of the prospect to be sold, then some recovery can occur. Specifically, the jury in this case found that Phillip tortuously interfered with Carlton's contract and that Carlton's interest in the project was $66.5 million. The jury also assessed $8.5 million in exemplary damages. The trial court refused to render judgment on the $66.5 million in actual damages but suggested $31.16 million in actual damages, the amount argued by Carlton's lawyer in closing. The Court of Appeals found in favor of Carlton and awarded Carlton the $66.5 million judgment and remanded the case. On remand, the damages of $31.16 million are likely going to be entered. the take away from this case is that lost profits are recoverable in a speculative investment situation if the lost profits can be proven to a reasonable certainty with objective facts, figures or data, such as evidence of what a willing buyer was going to pay a willing seller. Important things to look for when reviewing a simple contract? It is important that the contract contain the essential terms of the agreement, including the "who, what, when, where, and why" of the agreement. Some of the "little things" to watch out for are which state law applies, whether there is a required venue for any dispute between the parties to the contract, whether a prevailing party in a dispute is entitled to attorney's fees and if there is an arbitration agreement. These little things can suddenly become big things if a dispute arises. 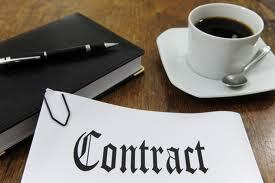 Contracts are binding agreements and are usually enforceable as written under Texas law. Each clause typically has a specific meaning and purpose and you should have a lawyer review the agreement. What is a Breach of Insurance Contract? What Is Breach Of Insurance Contract? An insurance contract provides protection against damages that may occur. It is financial support by the company acting as an insurer. The insurance company, once committed, is bound by law to provide the insured with help, assistance and support at the time of need. If the insured had an accident, the insurance company must provide all the services and coverage outlined in the contract signed by both parties. After the insured party starts making payments as per the policy guidelines both parties are bound by law to honor the contract. If the insurance company or the insured does not fulfill all the terms and conditions of the contract, a breach of contract takes place. How a Breach of Insurance Contract takes place? An insurer or insured can breach the insurance contract in many ways. For example, if the insurance company denies the rights of the insured it will be consider a breach of contract. If the insurance company only pays for part of an insurance claim after a storm, hail, tornado or other weather event, then the insurance company has breached the contract. If the insurance company unreasonably denies the claim. If the insurance company fails to provide assistance. If the insurance company delays in paying an insurance claim. If the insurance company misinterprets the contract. If the insurance company denies the benefits mentioned in the contract. If the Insurance company denies the claim without proper investigation. A breach of insurance contract can also make an insurance company liable for bad faith. The insurance company owes the insured a duty of good faith and fair dealing. Often, an insurance will act in bad faith in failing to pay the claim. We, at the Law Office of Jim Zadeh, P.C., have helped people of Texas with issues related to all types of insurance. For any related queries call us at 817-335-5100 or toll free 888-713-5418. You will be provided with a free and confidential consultation. Will Insurance Cover Ruined Inventory? The answer to this question depends, of course, on the details of your insurance policy. If the policy explicitly states that your insurer will pay only for damage to the physical premises, but not to your merchandise, then you're out of luck (and, next time, you'll know to secure your inventory in a dry place in advance of an approaching storm). Usually, though, matters aren't as cut-and-dried as this. In the wake of a major weather event, your insurance company may be juggling literally thousands of claims from home and business owners. It's in the company's interest to pay out as little money as possible, since every dollar it uses to reimburse policy holders is a dollar subtracted from its bottom line. That's why your insurance company representative is called a “claims adjuster”—he inspects the premises, and the circumstances of your damage, and “adjusts” the payout down from the maximum amount allowed by your policy. If you feel that you are unfairly being lowballed by your insurance company—which is willing to pay you $15,000 to repair your walls, but not $25,000 for your now-useless stock of toys, electronics, or women's clothing—you need to retain the services of an experienced Texas insurance attorney who can go over your insurance policy with a fine-toothed comb and hold the insurance company responsible for your losses. Jim Zadeh has almost three decades of experience representing policyholders in the Dallas–Fort Worth area, and will go toe-to-toe with your insurer to maximize your payout. Intrigued? Contact Jim today at 888-713-5418 to find out what he can do for you! Can a Non-Compete Agreement Be "airtight"? The types of employers you are barred from working at. Does the document specify exactly what kinds of companies directly compete with your last employer, or what is considered a “similar” industry? The time frame in which you are barred from seeking employment. A standard non-compete agreement specifies this in years (or months). Most courts will consider a lifetime ban to be unreasonable on its face. The geographical areas in which you can be employed. Often, your employer will attempt to dictate where, as well as by what type of company, you can be hired. Is a geographical area specified in your contract, or is the wording vague? Of course, it may well be the case that even an experienced employment lawyer will be unable to poke any holes in your non-compete agreement. In this case, the document truly is “airtight,” and you will be wasting your time and money in attempting to circumvent or invalidate it. A better strategy is to have an attorney examine your non-compete agreement before you sign it, so you don't unnecessarily restrict your job prospects five, ten, or even twenty years down the road! Are you a departing employee who is disputing the terms of your non-compete agreement? Contact Dallas–Ft. Worth employment lawyer Jim Zadeh today at 888-713-5418 to learn what he can do for you. Is Bad Publicity, A Reason To Settle With Business Partners? Probably not, but only an experienced Dallas commercial litigation lawyer can tell you for sure. The fact is that, if your partner has threatened to take you to court once, he will probably do so again, even if you “settle up” with him this time to keep things quiet. If, in fact, your partner has fabricated his allegations out of whole cloth, this would make him no better than a blackmailer—and blackmailers have a reputation for not being satisfied with one-time payments. This point may be moot, however. If your partner has gone so far as to have papers drawn up against you (and, essentially, your company), you will have no choice but to hire a lawyer who can meet this threat head-on. Even if the case never actually winds up in court, your attorney can help to arbitrate the dispute, usually in a way that prevents your disgruntled partner from ever bringing up the matter again (say, a signed, legally binding document spelling out the resulting settlement). What happens if your partner refuses to settle, and the case does wind up in court? Well, then your business practices will be a matter of public record, which could very well damage the reputation of your company. However, if right is on your side, and you are absolutely sure that you did not cheat your partner in any way, a court trial may be the only way to vindicate your reputation and the reputation of your firm. Are you a business owner in the Dallas–Ft. Worth area who is being sued by (or is thinking of suing) one of your partners? Contact Jim Zadeh today at 888-713-5418 to find out what he can do for you! Can I Sue If I Am An Undocumented Immigrant? This is a tricky question. Most undocumented immigrants in the state of Texas prefer to keep a low profile, for obvious reasons: if they assert their rights in court, the state might respond by rounding them up and initiating deportation proceedings. Because of its proximity to the Mexican border, it's a well-known fact that Texas has more than its share of undocumented immigrants, the vast majority of whom, it should be said, are hard-working, law-abiding people who are an economic asset to the state. Many of these people drive cars, of course, and inevitably wind up being involved in their fair share of car crashes. Your decision, will, of course, depend on the circumstances of your case—how seriously you or your loved one was injured, your employment status, your standing in the community, and other factors. But in the American legal system, being an undocumented immigrant is no bar to recovering damages in the wake of a car accident, especially if you can show that your own conduct was impeccable and that the entire fault lay with the other driver. Most times, you will not have to appear in court; the vast majority of settlements are worked out between the involved parties and their lawyers, and it's very rare for a car-injury case to necessitate a judge or jury (which should make you feel better about your potential exposure). Dallas–Ft. Worth attorney Jim Zadeh has almost three decades of experience working with clients who have been injured in car accidents in Texas; what's more, his staff is fluent in Spanish and welcomes inquiries from non-English-speaking Texas residents. Intrigued? Call Jim today at 888-713-5418 to find out what he can do for you! Can I Receive Workers Comp If Accident Was Caused By Subcontractor? If you really were injured by an employee, or a piece of equipment, owned by another company active on that construction site, then your claim technically lies outside your employer's purview (assuming he subscribes to the Texas workers’ compensation fund). Quite reasonably, your boss will not want to file a workers’ comp claim on your behalf, since injured workers cost companies money in insurance premiums, and can expose them to scrutiny from state authorities. If you have been injured on the job in Texas, the first thing you need to do (after having your injuries treated, of course) is to determine whether your employer or a third party was responsible—which will greatly affect your legal options. Questions? Call trial lawyer Jim Zadeh today at 888-713-5418 to find out what he can do for you!